How did Princess Diana found out about Prince Charles’ affair? Everyone witnessed the amazing wedding of Prince Charles and Princess Diana in 1981, and people thought it was so perfect, that their marriage was going to last forever. But that wasn’t the case. During their marriage, there were numerous rumors about their unhappiness, and after they divorced in 1992, all the truth came out to light. Nobody knew just how severe their marital problems were, until Diana spoke about it with Panorama in 1995, “Well, there were three of us in this marriage so it was a bit crowded.” Princess Diana knew about Charles’ infidelity, and this is how she learned about it. Charles and Camilla dated in the 70s before Diana and Charles even met. Charles left to be in the Royal Navy, and Camilla got engaged to her former boyfriend, Andrew Bowles. Nobody really knows if Charles really loved Diana, or did he married her because he was put under a lot of pressure to find a suitable wife. Whatever the case, it is apparent that Charles never stopped loving Camilla, and that was proven by their affair. Diana shared with The Mirror in 1997 about when she first learned about the affair. “Someone in his office told me that my husband has had a bracelet made for her. I walked into this man’s office one day and I said, ‘Ooh, what’s in that parcel?’ And he said ‘Oh, you shouldn’t look at that’. So I opened it and there was the bracelet … I was devastated, and I said ‘Well, he’s going to give it to her tonight.” The bracelet had G and F engraved, initials of the names Camilla and Charles were calling each other, Gladys and Fred. She stayed with Charles after discovering that he was seeing Camilla, and eventually ended up having few affairs on her own. Some stated that she had up to seven men as her lovers, and some of them were singer Bryan Adams and JFK Jr. The only one Diana admitted was her romantic relationship with former Household Cavalry officer, James Hewitt. They were together for five tears, but they ended things between them after he went to serve in the Gulf War. 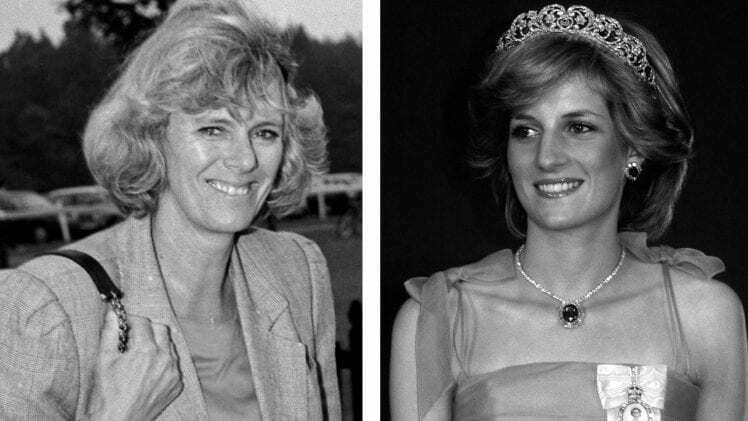 Despite the reports that Harry is actually Hewitt’s son, Hewitt said that he and Diana began the affair only after Harry was born. Home » Celebs » How did Princess Diana found out about Prince Charles’ affair?